Following the Queens Borough Board Budget Hearing, pursuant to Section 241 of the New York City Charter, the Queens Borough Board has submitted the following budget recommendations to the Mayor, City Council and the Director of the Office of Management and Budget on February 5, 2018 for Fiscal Year 2019. The Queens Borough Board is comprised of the Borough President, the Queens City Council Members, and the Chairs of the Community Boards. The Queens Borough Board Budget Hearing is an opportunity for organizations and individuals to present their budget requests to the Queens Borough Board. All applicants are encouraged to attend the Queens Borough Board Hearing and provide testimony on your budget requests. 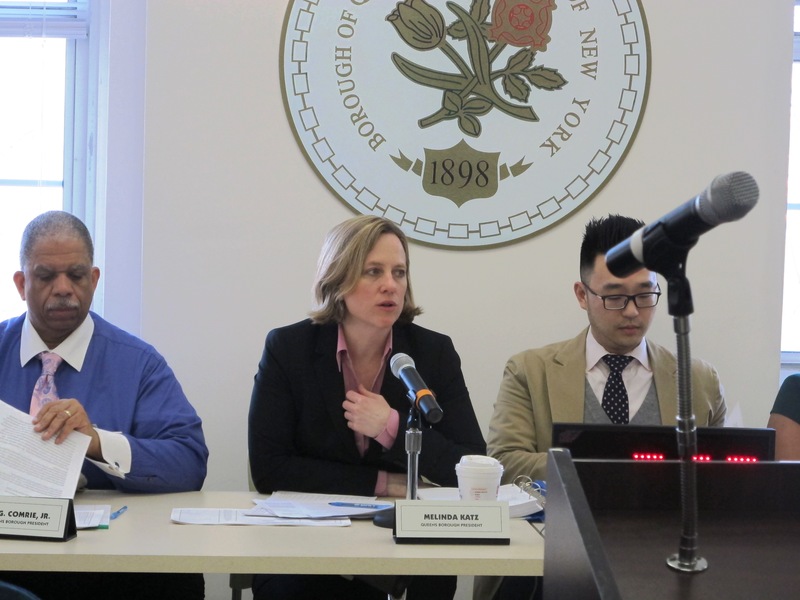 The Fiscal Year 2020 Queens Borough Board Budget Hearing has been rescheduled from Friday, February 1st to Wednesday, February 20th starting at 10 am. Please RSVP using this link and we will email your time slot. You will need to submit 25 copies of your testimony. The budget is the centerpiece of policy-making in New York City. Through the budget, the City allocates resources and sets the policy agenda for the upcoming fiscal year. As mandated by the City Charter, the Borough President is empowered to make recommendations to the Mayor’s Budget, as well as provide discretionary funding to organizations and City agencies. The Office of the Queens Borough President provides capital funding that can be used to fund large-scale projects, like infrastructure improvements, equipment, smaller scale fixed assets like computers, and affordable housing development projects. Please refer to CapGrants for a detailed list of allowable and non-allowable projects. If you are a non-profit organization or Charter School, you must apply through the CapGrants Application portal below. Please ensure that you review the “How-to Video” and the “Guidelines” provided on the CapGrants website before you begin your application. Please note that each application is reviewed by our office and the New York City Office of Management and Budget after submission. If any additional information is needed, the applicant will be prompted to upload additional documents. The earlier an application is submitted the earlier it is reviewed, giving the applicant more time to upload any additional necessary documents. It is highly encouraged that you start and submit your application as soon as possible. All applications must be submitted by February 20, 2019 at 5:00 PM. If you are a cultural institution, you must apply through the CapGrants portal specific for cultural groups provided below. All applications must be submitted by February 20, 2019 at 5:00 PM. If you are a public school requesting capital funding, please complete the web form below. All applications must be received by February 20, 2019 at 5:00 PM. The Office of the Queens Borough President provides expense funding to support a wide range of programs provided by community based organizations throughout Queens, including senior programs, youth programs, social services and community events. All applications must be submitted by April 15, 2019.